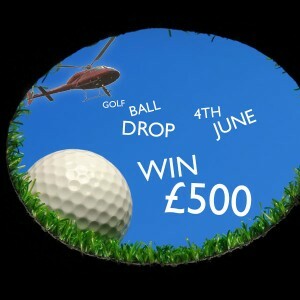 Atlas Helicopters are proud to announce they will be hosting a helicopter golf ball drop in aid of disabled youth charity, the Treloar Trust and you have the chance of winning £500. It was Mike’s suggestion (Captain Mike Burns to you) and was prompted when Treloar asked him to sponsor their Burns night. As much as he loves that Scottish poet, he thought Atlas could do something on a grander scale and a helicopter drop is not only an exciting spectacle but also a great way of raising money for a good cause. As you might be aware the golf ball drop has been popular in America for quite a while and just this year someone gave it a seasonal twist by dropping Easter eggs! 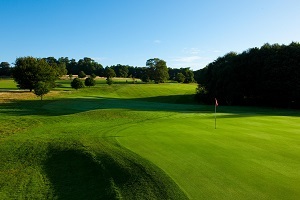 The event will be held at Cowdray Park Golf Club in Midhurst, West Sussex, a superb 18 hole golf course with breathtaking panoramic views of the Southdowns National Park. They will kindly be creating a temporary hole on the 18th fairway and hosting the event. Each golf ball will be numbered, and you can buy these for £5 each here. All proceeds will go to the Treloar Trust. The golf balls will be dropped from our Twin Squirrel and whichever ball lands in the hole first (or closest to the hole) will emerge as the winner. Win £500 in the Golf Ball drop for Treloar – £5 per ball – buy them here. 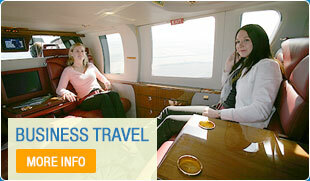 If you don’t feel like entering but want to help please share this page and help spread the word about Treloar. As you can read below, they are doing remarkable work and improving the future for many children. Founded in 1907 by Sir William Purdie Treloar (who at the time was Lord Mayor of London), the Treloar Trust, School and College is one of the country’s leading education centres for disabled children in the country.